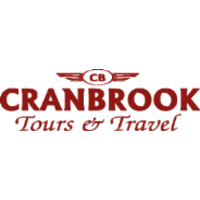 Cranbrook Tours and Travel is one of Kenya's leading tour operators. We are domiciled in Nairobi, Kenya and have a team of dedicated professionals who love this part of Africa and want to ensure that each person who travels through the company, experience the best travel services. We take a personal interest in every trip right from the planning stage to completion. Our personalized service has been the real key to our success and we pride ourselves in this. Our company philosophy is one of quality of service and personal attention to every client. To be the leading travel and related services company of choice, providing premier services and innovative options to all customers." To be an excellent tour and travel organization that is committed to perfecting the holiday and travel experience through personalized service. We guarantee the highest quality, by offering authentic, elegant and unique experiences and ensure our customers are satisfied, retained and loyal. As such, we create an environment that encourages and epitomizes a culture of excellent customer service.